AMD on Tuesday announced that it had acquired millimeter wave radio-related intellectual property and key engineers from Nitero. Nitero specialized in radio technology for the 60 GHz range, which is expected to be the basis of a number of short range wireless standards. AMD indicated that they purchased Nitero in order to focus on developing the necessary technology to wirelessly connect AR and VR headsets to host PCs, thus improving AR/VR experience. Though more broadly speaking, Nitero’s low-latency 60 GHz wireless interface in general can be used in various ways to connect different devices, and owning such an IP may be important for AMD’s patent portfolio. 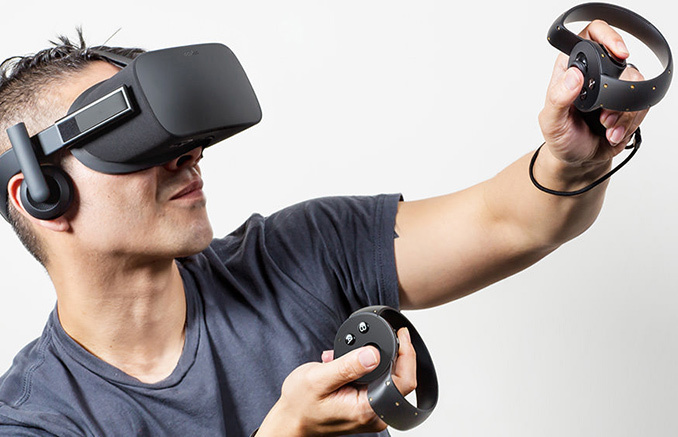 Current-generation VR headsets connect to PCs using HDMI interface, which is very convenient, but which naturally reduces freedom of movements and sometimes adds certain complications. Since VR headsets are just head-mounted displays with audio, usage of HDMI is just natural because the interface has enough bandwidth for high-resolution high-framerate graphics and because the software stack is already here — OSes, drivers, applications “understand” what HDMI is. Moreover, with 10.2 Gbps raw throughput (8.1 Gbps with 8b/10b overhead removed), the HDMI 1.4 provides enough bandwidth for 2160×1200 at 90 Hz resolution offered by the HTC Vive and the Oculus Rift. 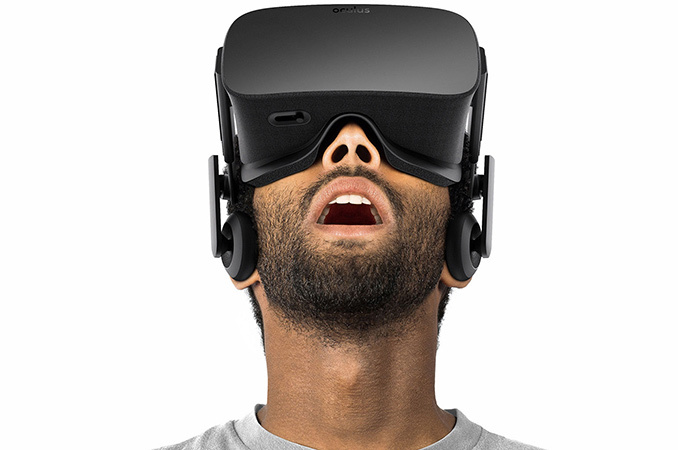 Meanwhile cables sometimes negatively affect VR/AR experiences and even usage models. A number of companies (DisplayLink, TPCast, Nitero etc.) have been trying to use the millimeter wave radio technology to build wireless VR headsets and some of them even demonstrated their devices at MWC 2017 earlier this year. It is not completely clear whether the 60 GHz radio used by the three aforementioned companies is compliant with the WiGig (802.11ad) specification, but Nitero is known for its WiGig chips for mobiles. At present, WiGig is used for wireless docking stations and provides ~7 Gbps of bandwidth, which is enough for transmission of documents or files, but is barely enough even for current-gen VR headsets (not to mention input lag). Nonetheless, it is important to start from something and it appears that AMD is betting on Nitero’s technologies. Just to add perspective, the WirelessHD 1.1 standard designed by Silicon Image supports up to 28 Gbps data transmission rate — that is comparable to DP 1.4 and is enough for 4Kp120 with compression (or 8Kp60), so 60 GHz radios can scale very well. AMD said that Nitero had created a phased-array beamforming millimeter wave chip that can enable “multi-gigabit transmit performance with low latency” for VR headsets without line-of-sight requirements associated with some other implementations of millimeter wave radio technologies, which suits wearables very well. AMD is not disclosing exactly what they intend to do with the IP beyond further developing it for VR/AR, so it's not clear at this time whether they intend develop their own products from it. AMD could further develop the IP and then license it out for partners to build the final products, or design the chips themselves and sell that to partners as part of a reference kit. There's also the possibility of integrating the IP into their other products, though the extreme short range nature of 60 GHz wireless does pose some unique challenges to applications that aren't line-of-sight. 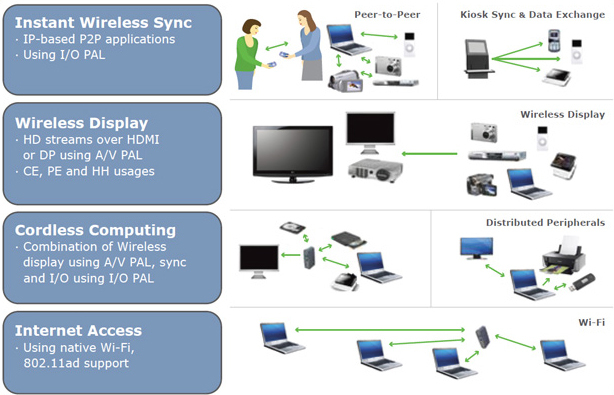 So far, wireless display technologies (apart from Miracast) have not really taken off due to various reasons. But since so many companies are working on such technologies based on 60 GHz radio, the prospects of its millimeter wave radio IP here may be considerably more promising for AMD if it manages to popularize the standard first among developers of VR headsets and then among makers of displays. Putting our speculations aside, the only thing that AMD shares now is that the Nitero acquisition is a long-term investment that could enable the company to create more immersive computing experiences.